The Horror Section: Dog Days. 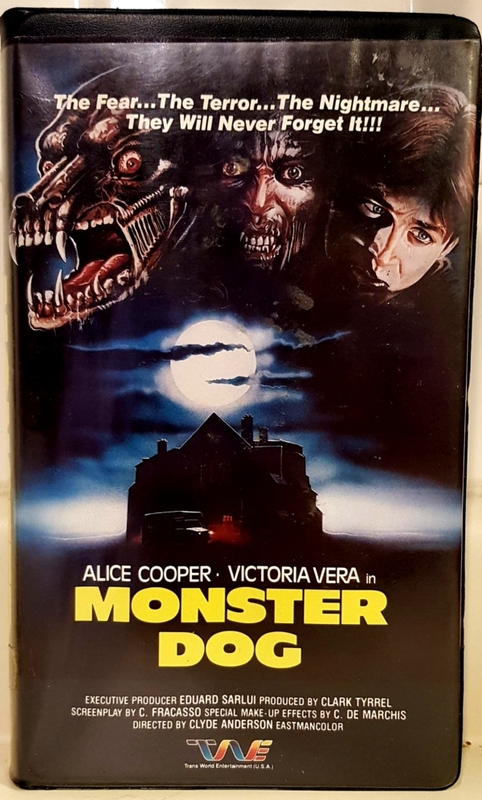 This week's VHS is Clyde Anderson aka Claudio Fragasso's 1984 effort Monster Dog. 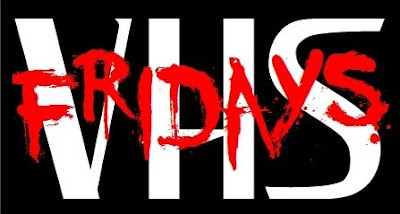 A pop star (Alice Cooper) returns to his hometown to shoot a music video only to find it has been overrun by wild dogs – and perhaps something else even more ferocious. I'm sad to say that this is movie ain't so hot. 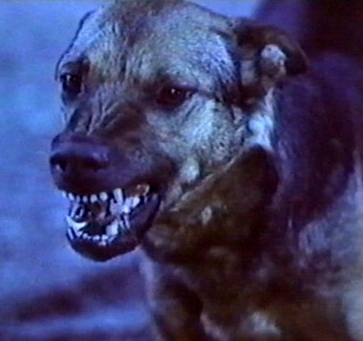 I mean it was the man who gave us best worst movie Troll 2 after all, but Dog was nowhere close as amusing as that was. I am going to reserve full judgment on this though as I may have dozed off for a bit in the middle and, according to Imdb, the studio re-cut Fragasso's movie for the US release. My main criticism remains that it needed more Monster Dog. I got the feeling that there were a lot of cool gags planned, but despite the reputable talents of Carlo De Marchis, it would appear there was a discrepancy between the shop and the set. I unfortunately had to wait until the end to see something half decent happen. He's a guide dog by day. I feel like this was such a weird project for Alice Cooper. Apparently, it was the first project he took after going sober and – like so many performers before him – probably thought that it would never be seen outside of Spain. He was painfully reserved in this movie and I couldn't tell whether it was his choice or lack of direction from Fragasso. If Cooper had chewed the scenery there would have at least been some Nic Cage-style satisfaction in it. 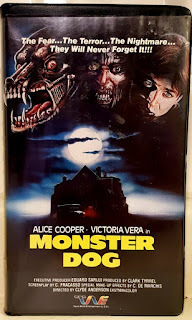 As with Night Train To Terror and Killer Party, Monster Dog opens with a catchy musical number. 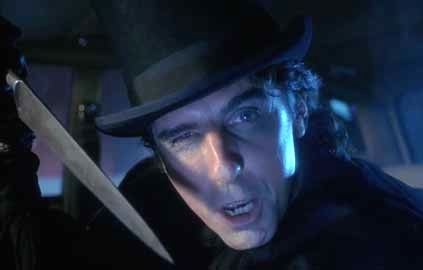 Not only was this the most entertaining part of the movie, but it was the only time that Cooper's actual voice was used, as the rest of the audio – in true Euro B-movie fashion – was dubbed. The filmmakers must have liked the song too because they played the whole thing over again at the end! Sometimes I feel like Jack the Rii-iipper! Monster Dog's only real positive was that it was well shot. I don't know if cinematographer José García Galisteo was channeling Dean Semler (namely Razorback, coincidentally also released in late 1984), but his use of light and fog was really striking, even on my muddy VHS. It gave me something to latch onto as I watched drawn out scenes of people wandering around in between shots of listless canines. So yeah, not a winner. But hey, at least it has a cool cover, right?